Wikileaks cable suggests the US bombed a building to destroy evidence they executed 10 handcuffed Iraqi civilians, including a woman, children under 5, and an infant. The Center for Reasearch on Globalization reports that Wikileaks has released cables that confirm the United States has been conducted targeted assassinations of Iraqi civilians. The report, first reveals that the password to decrypt the full text of the full text of the unredacted cables has been leaked on the internet, allegedly by a Guardian reporter and then goes on to discuss the contents of the just released Wikileaks cable 59146. Cable 59146 reveals one of the incidents of targeted assassinations in which the U.S. government tried to destroy evidence of the executions by bombing the building. The officials story was the building collapsed under heavy fire, but witnesses interviewed at the scene say 6 missiles fire by U.S. aircraft destroyed the building. Unfortunately for the war criminals, autopsies of the bodies found in the building revealed at least 10 civilians found in the building were all handcuffed and shot in the head execution style before the building was bombed. Even worse the victims including a woman in her 70′s and 5 children under the age of 5, including a 5 month infant. 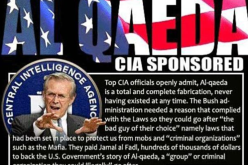 The U.S. government then publicly covered up the executions by stating the deaths where the result of a building collapse that followed a search for ‘a foreign fighter facilitator for the Al Qaeda in Iraq network’ which the media reported without question. Photographs taken by Agence France Presse but not distributed by major US media outlets show the bodies of Iraqi civilians killed in March in a home in Ishaqi, Iraq. Those photographs — may of which are graphic and show the decaying bodies of children, some of them babies — are displayed below. Please do not scroll down if you do not wish to see these photos. The photographs were discovered and highlighted by by Christopher Floyd of ChrisFloyd.com earlier this year. The photographs, quite graphic, follow. Ironically, the date United States conducted targeted assassinations of Iraqi civilians, March 15, 2006, was the same date Saddam Hussein began his lengthy testimony in his war crimes trial where he was charged with and executed for the charged with ordering the killing of 148 villagers in Dujail in 1982. ANTI-secrecy group WikiLeaks says its massive archive of unredacted US State Department cables has been exposed in a security breach which it blames on its one-time partner, Britain’s Guardian newspaper. In a 1600-word-long editorial posted to the internet, WikiLeaks accused the Guardian’s investigative reporter David Leigh of divulging the password needed to decrypt the files in a book published earlier this year. The Guardian and Leigh both denied wrongdoing. Copies of the files appeared to be circulating freely around the web, although their authenticity could not immediately be determined. WikiLeaks said in its statement that Leigh had “recklessly, and without gaining our approval, knowingly disclosed the decryption passwords” in his book on the organisation, published by the Guardian back in February. WikiLeaks said that knowledge of the leaked passwords had been spreading privately for months, but that the organisation was forced to come out with a statement today after news of the breach began spilling into the press. 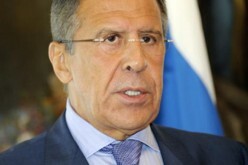 In Washington, the State Department did not immediately respond to a call seeking comment. US officials have previously said that the disclosure of the entire unredacted archive could have potentially serious consequences for informants, activists and others quoted in the cables. Repeated attempts to reach WikiLeaks staffers for further clarification were unsuccessful. Meanwhile, a cable in the latest tranche of documents released suggests US troops executed 10 Iraqi civilians, including an elderly woman and an infant, before bombing to destroy the evidence. The controversial 2006 incident in the central Iraqi town of Ishaqi involved the execution-style murder of 10 civilians including a woman in her 70s and a 5-month-old infant. The unclassified cable, which was posted on WikiLeaks’ website last week, contained questions from a United Nations investigator about the incident, which had angered local Iraqi officials, who demanded some kind of action from their government. US officials denied at the time that anything inappropriate had occurred. But Philip Alston, the UN’s special rapporteur on extrajudicial, summary or arbitrary executions, said in a communication to US officials dated 12 days after the March 15, 2006, incident that autopsies performed in the Iraqi city of Tikrit showed that all the dead had been handcuffed and shot in the head. Among the dead were four women and five children. The children were all 5 years old or younger. Reached by email on Wednesday, Alston said that as of 2010 – the most recent data he had – US officials hadn’t responded to his request for information and that Iraq’s government also hadn’t been forthcoming. He said the lack of response from the United States “was the case with most of the letters to the US in the 2006-2007 period,” when fighting in Iraq peaked. Alston said he could provide no further information on the incident. The Pentagon didn’t respond to a request for comment. At the time, American military officials in Iraq said the accounts of townspeople who witnessed the events were highly unlikely to be true, and they later said the incident didn’t warrant further investigation. Military officials also refused to reveal which units might have been involved in the incident. Erik Westermann gives us more information the original leaked cable. The following U.S. diplomatic cable describes the execution and coverup of a family in a town about 100km north of Baghdad, Iraq on March 15, 2006. The killings were the result of a Multi-national Force (MNF) investigation of the killing of two MNF soldiers sometime between March 6 and 11. 1. Mission received a communication from Philip Alston, Special Rapporteur on Extrajudicial, Summary or Arbitrary Executions, regarding a raid conducted by Multinational Forces on March 15, 2006 at the house of Faiz Harrat Al- Majma’ee in Iraq. This communication has been sent via e- mail to IO/RHS. This communication is number 8 on the Geneva 2006 Communications Log. I have the honour to address you in my capacity as Special Rapporteur on extrajudicial, summary and arbitrary executions pursuant to Commission on Human Rights resolution 2004/37. I would like to draw the attention of your Government to information I have received regarding a raid conducted by the Multinational Forces (MNF) on 15 March 2006 in the house of Faiz Harrat Al-Majma’ee, a farmer living in the outskirts of Al-Iss Haqi District in Balad (Salah-El-Din Governorate). I have received various reports indicating that at least 10 persons, namely Mr. Faiz Hratt Khalaf, (aged 28), his wife Sumay’ya Abdul Razzaq Khuther (aged 24), their three children Hawra’a (aged 5) Aisha ( aged 3) and Husam (5 months old), Faiz’s mother Ms. Turkiya Majeed Ali (aged 74), Faiz’s sister (name unknown), Faiz’s nieces Asma’a Yousif Ma’arouf (aged 5 years old), and Usama Yousif Ma’arouf (aged 3 years), and a visiting relative Ms. Iqtisad Hameed Mehdi (aged 23) were killed during the raid. According to the information received, American troops approached Mr. Faiz’s home in the early hours of 15 March 2006. It would appear that when the MNF approached the house, shots were fired from it and a confrontation ensued for some 25 minutes. The MNF troops entered the house, handcuffed all residents and executed all of them. After the initial MNF intervention, a US air raid ensued that destroyed the house. Iraqi TV stations broadcast from the scene and showed bodies of the victims (i.e. five children and four women) in the morgue of Tikrit. Autopsies carries out at the Tikrit Hospital’s morgue revealed that all corpses were shot in the head and handcuffed. I am aware that the MNF confirmed that an air raid took place that day in Balad and that it caused an unconfirmed number of casualties. The US military attacked the house to capture members of Mr. Faiz Harrat Al-Majma’ee’s family on the basis that they were allegedly involved in the killing of two MNF soldiers who were killed between 6 to 11 March 2006 in the Al Haweeja area. The US military was further reported in the media as stating that MNF troops attacked the house in question to capture “a foreign fighter facilitator for the Al Qaeda in Iraq network”. Other reports indicate that over the past five months, there have been a significant number of lethal incidents in which the MNF is alleged to have used excessive force to respond to perceived threats either at checkpoints or by using air bombing in civilian areas. In drawing the attention of your Excellency’s Government to this information and seeking clarification thereof, I am fully aware of the stance taken by your Government in correspondence with me regarding the mandate’s competence regarding killings that are said to have occurred within the context of an armed conflict (I refer to your Government’s letters dated 22 April 2003 and 8 April 2004). As explained in my report to the 61st Commission on Human Rights, as well as in letters to your Excellency’s Government of 26 August 2005 and 7 March 2006, however, not only the relevant formulation of the mandate but also the General Assembly in its resolutions and the now longstanding practice of the independent experts successively holding the mandate since its creation in 1982 make it clear that questions of humanitarian law fall squarely within the Special Rapporteur’s mandate (See E/CN.4/2005/7, at par. 45). 1. Are the facts alleged in the above summary of the case accurate? On what basis was it decided to kill, rather than capture, members of Mr. Faiz Harrat Al-Majma’ee’s family. 2. What rules of international law does your Excellency’s Government consider to govern these incidents? If your Excellency’s Government considers the incidents to have been governed by humanitarian law, please clarify which treaty instruments or customary norms are considered to apply. 3. What procedural safeguards, if any, were employed to ensure that these killings complied with international law? 4. Does your Excellency’s Government intend to provide compensation to Mr. Faiz Harrat Al-Majma’ee’s relatives. It is my responsibility under the mandate provided to me by the Commission on Human Rights and reinforced by the appropriate resolutions of the General Assembly, to seek to clarify all such cases brought to my attention. Since I am expected to report on these cases to the Human Rights Council I would be grateful for your cooperation and your observations. I undertake to ensure that your Government’s response is accurately reflected in the reports I will submit to the Human Rights Council for its consideration. Here is Wikiepedia’s entry on the incident. 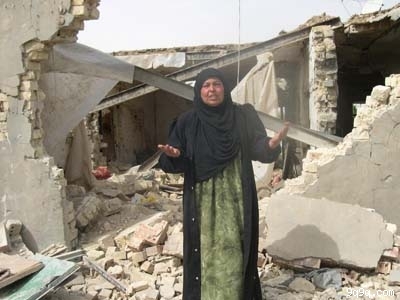 The Ishaqi incident refers to the reported mass murder of Iraqi civilians allegedly committed by United States forces in the town of Ishaqi in March 2006. After the incident, Iraqi police accused the US troops of rounding up and deliberately shooting 11 people, including five children and four women, before blowing up their house. A US military spokesman at the time responded that it was “highly unlikely that [the allegations] were true”. US authorities said they were involved in a firefight after a tip-off that an al-Qaeda cell leader, Ahmad Abdallah Muhammad Na’is al-Utaybi, was visiting the house. According to the Americans, the building collapsed under heavy fire, killing four people—a suspect, two women and a child. In June 2006 the US indicated they were re-investigating the incident, after the BBC obtained a tape from “a hardline Sunni group” that appeared to contain evidence supporting the allegations of the Iraqi police. The investigation found, on June 2, 2006 that US military personnel had followed the proper procedures and rules of engagement, and that they had done nothing wrong. (US forces, the report claimed, had initially responded to enemy fire upon them with small arms fire and then escalated force incrementally until the threat to them was eliminated.) 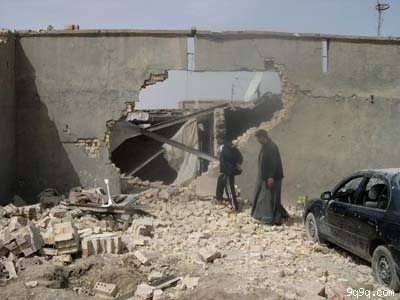 Major General William B. Caldwell, a senior US military spokesman, said in an official statement that “Allegations that the troops executed a family living in this safe house, and then hid the alleged crimes by directing an air strike, are absolutely false.” The Iraqi government immediately rejected the results of the US probe, stating they would continue their own investigation. On March 15, 2006, U.S. Forces raided a house owned by Faiz Harat Khalaf, about sixty miles north of Baghdad in the Abu Sifa area of Ishaqi, (eight miles north of the city of Balad). 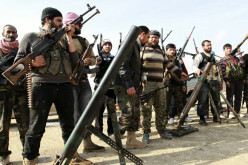 The raid targeted an Al-Qaeda operative believed to have been present in the residence. The forces approached the house at around 2:30 am and a firefight ensued between the troops and unknown gunmen inside the house. The U.S. troops were supported by helicopter gunships, which also fired on the house. Knight Ridder Newspapers and Times Online interviewed the brother of the owner of the house, Ibraheem Hirat Khalaf, who claimed that he witnessed the assault from his home 100 yards (91 m) away. He said that the U.S. troops used six missiles from helicopters to destroy the house as they were leaving. Searching the wreckage, he found the body of his mother Turkiya, her face unrecognisable. “She had been shot with a dumdum bullet,” he claimed. A local police commander, Lt. Col. Farooq Hussain, interviewed by a Knight Ridder special correspondent in Ishaqi, said autopsies of the bodies performed at a hospital in Tikrit “revealed that all the victims had bullet shots in the head and all bodies were handcuffed.” Amer Amery of Reuters reported Hussain saying that “autopsies had been carried out at Tikrit hospital and [had] found ‘all the victims had gunshot wounds to the head’. The bodies, found with their hands bound, had been dumped in one room before the house was destroyed, Hussain said. Police had found spent American-issue cartridges in the rubble.”  Schofield’s story, which credited an Iraqi police report, was related on the U.S. radio program Democracy Now in March 2006. Another neighbour, Hassan Kurdi Mahassen, was woken by the sound of helicopters and saw soldiers entering Fayez’s home after spraying it with such heavy fire that walls crumbled. Mahassen said that once the soldiers had left—after apparently dropping several grenades that caused part of the house to collapse—villagers searched under the rubble “and found them all buried in one room”. Reuters also reported that Major Ali Ahmed of the Ishaqi police said U.S. forces had landed on the roof of the house in the early hours and shot the 11 occupants, including the five children. “After they left the house they blew it up,” he said. Television footage apparently from a local Iraqi station, “showed the bodies in the Tikrit morgue—five children, two men and four women. Their wounds were not clear though one infant had a gaping head wound.” The Associated Press’ Hameed Rasheed was on the scene and took several images of the victims. “‘Because of that discrepancy, we have opened an investigation,’ Lieutenant Colonel Barry Johnson, a senior U.S. spokesman in Baghdad, said on Tuesday. 1^ a b Schofield, Matthew (March 19, 2006). “Iraqi police report details civilians’ deaths at hands of U.S. troops”. Knight Ridder Newspapers. Retrieved 2006-06-01. 2^ a b “New ‘Iraq massacre’ tape emerges”. BBC News. June 1, 2006. Retrieved 2006-06-01. Here is the WikiNews article on Iraq’s rejection of the official U.S. government lie about the incident. Adnan al-Kazimi, an advisor to the Iraqi Prime Minister Nouri al-Maliki, said, “We have from more than one source that the Ishaqi killings were carried out under questionable circumstances. More than one child was killed. This report was not fair for the Iraqi people and the children who were killed”. The U.S. military yesterday made a statement about Ishaqi allegations that U.S. troops “executed a family … and then hid the alleged crimes by directing an air strike, are absolutely false”. Troops had been fired on and they returned fire and called in air support, which destroyed the house, killing one militant and “up to nine collateral deaths”. In March, the U.S. military said four people died when they attacked a house suspected of holding an al-Qaida operative. The house was destroyed by fire from the ground and air. The BBC has video evidence that US forces may have been responsible for the deliberate killing of 11 Iraqi civilians. The videotape, from a hard-line Sunni group opposed to coalition forces, shows a number of dead adults and children at the site. Clearly gunshot wounds according to John Simpson, BBC world affairs. Also according to Associated Press Police in Ishaqi say five children, four women and two men were shot in the head, and that the bodies, with hands bound, were dumped in one room before the house was blown up. Riyadh Majid, nephew of Faez Khalaf, who was killed, said U.S. forces landed in helicopters and raided the home. Ahmed, Khalaf’s brother said nine of the victims were family members who lived at the house and two were visitors. John Simpson, BBC Correspondent in Baghdad says “It’s hard to find an Iraqi here who has not suffered, through his family, his friends, from the tough tactics the Americans use”. Wijdan Michael, Human Rights Minister, said a fact-finding commission would be sent to Ishaqi in the next few days. 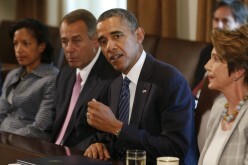 Sikh Temple Shooting… Another False Flag Staged To Ban Guns? Evidence Mounting!